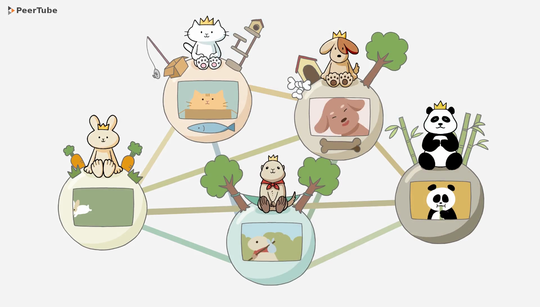 Help our friends at Framasoft with their crowdfund and take back control of your videos! Pledge your donation here. Last march, we released PeerTube in public beta! Medias, collectives, video-makers and even cities… people already made more than a hundred PeerTube instances hosting more than 7500 videos! 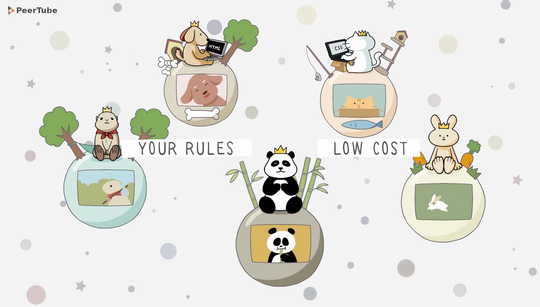 You can go and see by yourself the JoinPeertube website, a list of all the existing instances, the software source code… and even watch some videos on Framatube, our PeerTube instance! ○ Imply huge technical infrastructures. Their centralized video-hosting model can only be sustained by big companies. That’s how they get to impose us their terms and conditions. Find out more in the campaign page.